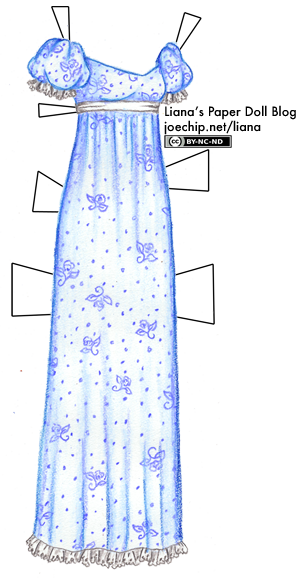 I’d like this dress http://lianaspaperdolls.com/2010/06/12/black-and-white-regency-gown-with-flower-lace/ coloured please. The main part of the dress I’d like an English Ivy pattern, with vines looking like they are growing up from the bottom of the skirt. 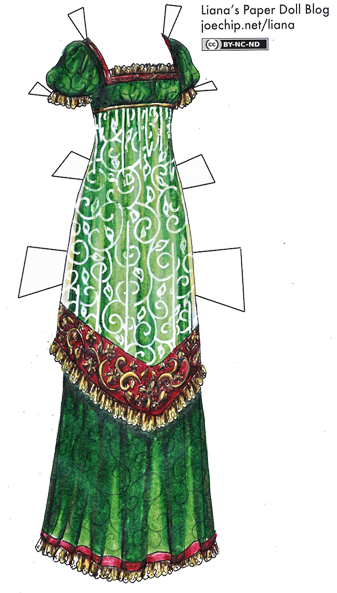 I’d like the background of the dress to be a vibrant shade of green like lush grass in summer and the piping and lace to be an earth tone pink. You know how if you put fabric or paper out in the sun it fades, and you can create patterns but placing objects on it? And then the background is faded version of the pattern? 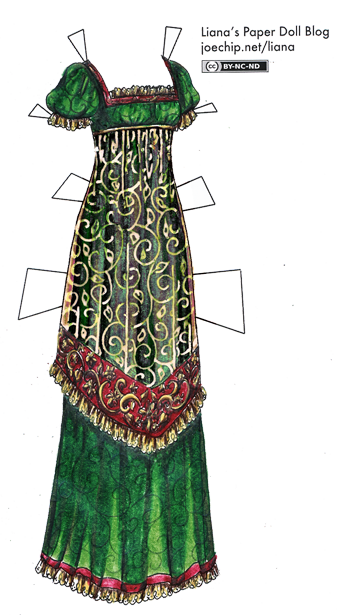 Well if you were to reverse that process so that the main part of the fabric was covered (i.e not faded) and the pattern was faded that is how I imagine the ivy pattern on the dress to look like. similar to the pattern in the gold on this dress http://lianaspaperdolls.com/2010/06/23/colored-1700s-gown-in-gold-white-and-pink/ but more pronounced. I kinda hope that makes sense, but if not I’m sorry and I did my best. It made sense, but I don’t know if I quite captured your vision, Ana, so I hope you like it! 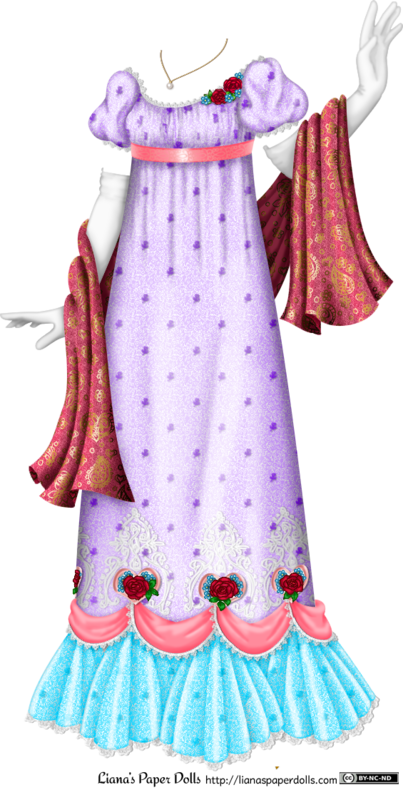 I hate to disappoint people, especially my mom, but I won’t be drawing the royal wedding gown: the biggest reason is that I avoid drawing sheer fabrics because the dolls have different skin colors. It’s been suggested that I do two versions, but when the create-a-doll page is up — which I have been working on, albeit off and on — there will be around seven skin colors, so I’m not going to spend that much time on a dress that would be limited to the two dolls that are currently available. If you all are so keen on royalty, I’ll put some time into a series of posts about the Japanese imperial family weddings I’ve been batting around in my mind for a while; my opinion of the Japanese institution isn’t particularly different from my opinion of the English one (if anything it is more critical), but the clothes and history interest me more. 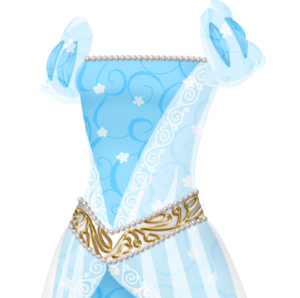 And maybe another paperdoll blogger will pick up my slack and draw the dress? Send me a link if you do, I’ll post it here. Let’s do another contest… Here’s a good one. I’m in this picture. Which one of these kids is me? Winner gets to choose a black and white drawing for me to color as they direct, as usual! Update: Shannon guessed it! I’m the girl with short hair at the top right, underneath the outstretched arm of the boy on the chair. I’m sorry for the long absence! I hadn’t even realized it had been that long… I had a couple of days where nothing worked out, and then I got out of the habit, and here it is the middle of April and there are worried comments showing up in my e-mail. 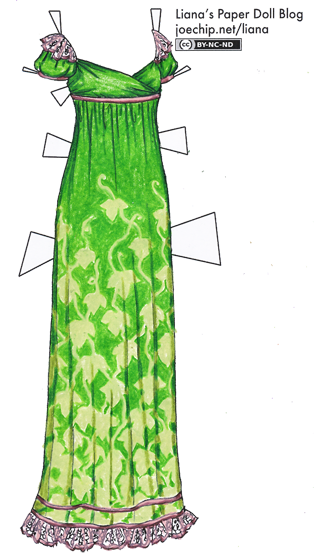 I didn’t want to make you wait until Tuesday for something new, so here is a dress for today. It’s been a while since I’ve drawn a regency dress just for the sheer joy of drawing a regency dress… but they do work up quickly, which is just what one needs when one has a paperdoll-related crisis of conscience somewhere around 9:30 P.M.
Hopefully this is enough to get me into the drawing habit again and I will have something new for you on Tuesday!